When I was a little boy, I suffered from nightmares. In my dreams, monsters would often chase me through the night or down seemingly endless corridors. I remember waking in the night, afraid and sweaty. Eventually, with a little guidance, I was able to create safe havens in my dreams. First was the hollowed tree (which always led to another world). Later, I was able to control and edit my dreams — a skill anyone can learn. 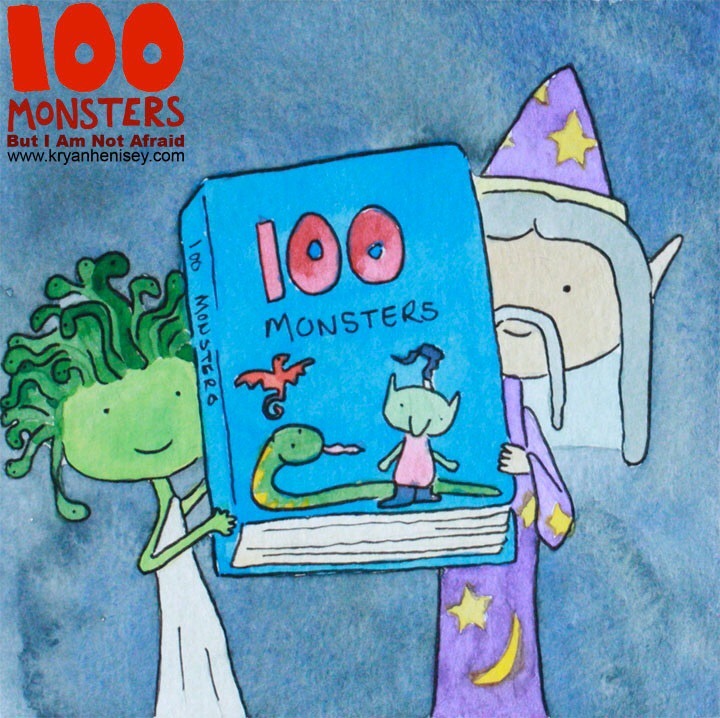 100 Monsters is an exploration of fear and a declaration that there is no need to be afraid. This playful poem, fully illustrated with watercolor portraits of mythological monsters, is a delight for the whole family. 100 Monsters and other sleepy time poems are available for download here.